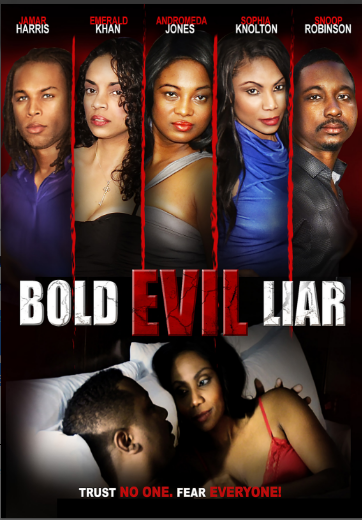 Cast: Kris Lloyd, Michelle Sanford, Jessica Osborn, Pamela Ricardo, D.K Grissett, Mark A. Story. Story: Dr. Augusta Weber has traveled the world over promoting her books, DVD’s and selling out public speaking events. She is a retired College Professor who is greatly admired by all. Although Dr. Weber is an advocate for being straight-forward, open and honest, she is protecting a deep, dark secret that has plagued her for years. An aggressive journalist, Ruby, is determined to denounce Dr. Weber’s character by uncovering the truth and scoring the next big story. Source: Maverick Entertainment. 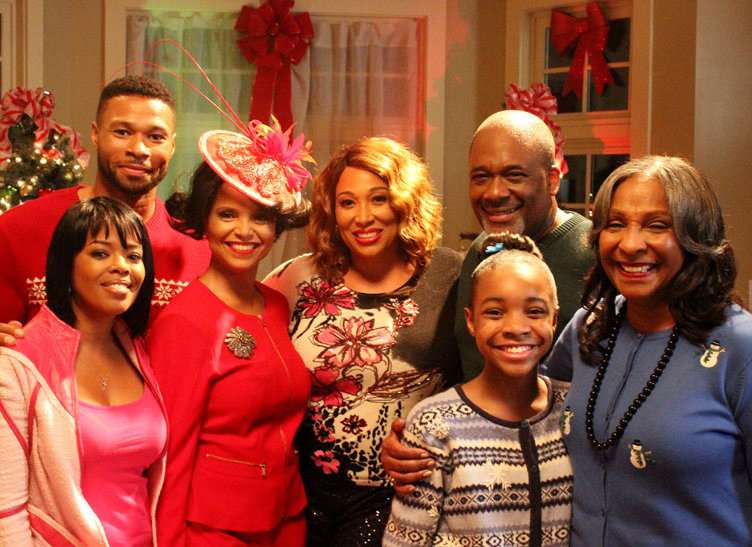 Cast: Malinda Williams (Marci), Victoria Rowell (Stephanie), Karon Riley (Blair), Gregory Alan Williams (Donald), Chrystale Wilson (Elizabeth), Deetta West (Myra), Lola Riley (Chandler), Nadej K. Bailey (Denny). Story: The Chandler family is back and bigger than ever! Determined to make her baby’s first Christmas a memorable one, Marci throws herself into both planning the perfect Christmas and building her new event planning business. 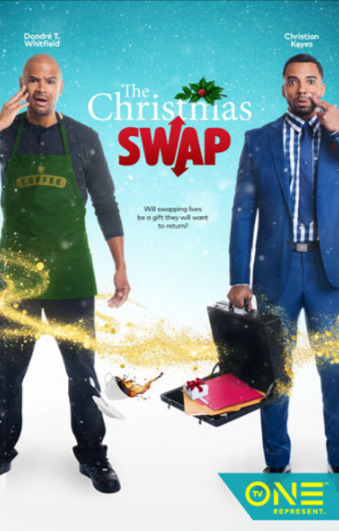 But when the business gets off to a rocky start and members of her family face their own hardships, Marci will discover that when your plans for a perfect Christmas start to fall apart, it just might be the miracle you need. Source(s): UpTV; IMDB. Cast: Vernon Snoop Robinson (Apollo), Andromeda Jones (Bel), Robin L. White (Joi), Emerald Khan (Eve), Sophia Knolton (Gennie), Amy Cannon Bryant (Datra), Jamar Harris (Drake). Story: Apollo Love and his wife, Joi, don’t know if their marriage can survive his affair with the beautiful seductress, Bel. Although the affair has ended, Bel is in full stalker mode while the Love family tries to deal with Apollo’s unfaithfulness, and the recent death of Joi’s parents. A web of lies and secrets that have been hidden by other members of both of their families are uncovered, and everyone starts to look scandalous. In the end, the biggest Bold Evil Liar wins. Source(s): Maverick Entertainment; IMDB. Cast: Cora Lee Day (Nana Peazant), Alva Rogers (Eula Peazant), Barbarao (Yellow Mary), Trula Hoosier (Trula), Umar Abdurrahamn (Bilal Muhammad), Adisa Anderson (Eli Peazant), Kaycee Moore (Haagar Peazant), Bahni Turpin (Iona Peazant), Cheryl Lynn Bruce (Viola Peazant), Tommy Redmond Hicks (Mr. Snead). Story: Daughters of the Dust is a drama about the struggle between tradition and progress. Set in the early 1900s, it is the story of the Pazants on the eve of the family’s migration from their Sea Island home to the mainland, leaving their land and legacy behind. Nana Pazant, the eighty-eight-year-old matriarch of the family, fights to keep the family she raised together on the island to maintain the traditions handed down by her African ancestors. Eula, her granddaughter, is pregnant with the baby of a man whom her husband believes raped her. Haagar Pazant would like to throw off the traditions of the past for the opportunities of the future which await her and her family in the North. She wishes to establish herself as the family matriarch of the New World. Cousin Yellow Mary has returned from Cuba “ruint.” but on this eve of departure, she comes to reclaim her family place. 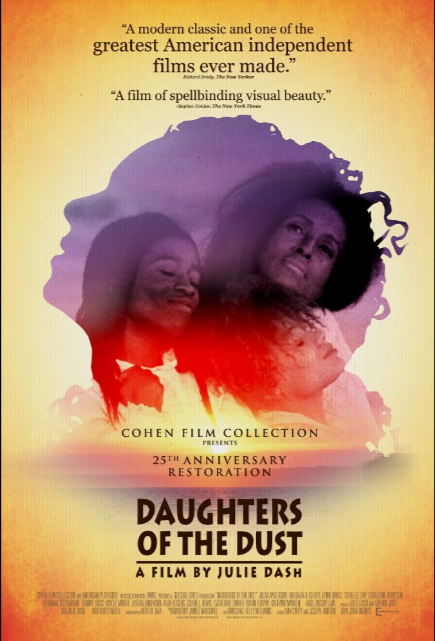 Daughters of the Dust is the first dramatic feature film to explore the traditions of the Gullah, the descendants of African slaves who once worked the indigo, rice and cotton plantations and later inhabited the many islands dotting the South Carolina and Georgia coastlines. These African Americans speak with a distinct accent known as “Gullah” or “Geechee.” Ms. Dash, herself a descendant of the Gullah, drew heavily from their oral traditions and extensively researched her ancestors for five years with the assistance of Geechee scholar Margaret Washington Creel. Thus, the film represents a historical document. Source: Sundance.org. Studio(s): Famous Filmworks, History In The Making Entertainment, Where Media Meets, Touch the Heart Productions, Maverick Entertainment. 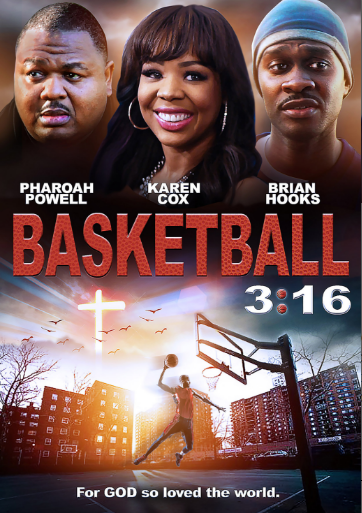 Cast: Pharoah Powell (Calvin Nichols), Karen Cox (Mary Nichols), James Earl-Rockefeller III (Reverend James Morgan), Brian Hooks (Derrion Nichols), Jonez Cain (Constance Thomas), Marcus D. Spencer (K Money). Story: Sometimes there comes a point in your life where you need to grow up, but only you know when that time comes. That time always comes in one shot and sometimes it’s your last shot. The Lord can be found in many places; a Church, a book or even a basketball court. Growing up is not about an age, it turns out it’s about a mindset. When you’re a child, you speak as a child, think as a child and reason as a child… when you become a man you put away childish things. The question of the day is… “How many shots does a man need to get it right, or does he ever get it right?” Source(s): Maverick Entertainment; Amazon; IMDB.